"Is it safe for me to take Tylenol?" Do the recommended doses of Tylenol cause any liver damage? Why should we know that the generic name of Tylenol is acetaminophen? Just how much acetaminophen is safe to take? How is acetaminophen processed (metabolized) in the body? How does an overdose of acetaminophen cause liver injury? Is overdose with acetaminophen usually accidental or intentional? How can accidental overdose be avoided in adults? How can overdose be avoided in children? What are the symptoms and signs of acetaminophen-induced liver damage? What should be done if acetaminophen toxicity is suspected? Acetaminophen is a very safe drug when taken as directed, even for people with liver disease. Nevertheless, every drug carries risks. Liver damage from acetaminophen, which can be severe, can result either from an overdose or from regular doses that are taken while drinking alcohol. Most cases of acetaminophen-induced liver injury are caused by an intentional or suicidal overdose. Unintentional or accidental overdose of acetaminophen can usually be avoided with care and attention to the dosing. Physicians can estimate a patient's probability of developing liver injury based on the timing of the overdose and the blood level of the drug. In patients with acetaminophen liver damage, the usual clinical sequence is nausea and vomiting for the first 12-24 hours, then the patient seems well for the next 12-24 hours, after which abnormal liver blood tests develop. An antidote, N-acetyl cysteine, is available and should be given to the patient as soon as possible, preferably within 16 hours after the acetaminophen was taken. "How much Tylenol can I take?" These questions highlight the public's awareness of the potential for acetaminophen to cause liver damage or injury. Tylenol is a very effective pain-killing (analgesic) and fever-reducing (anti-pyretic) agent. It is also a very safe drug as long as the recommended dosage is not exceeded. In fact, the use of Tylenol instead of aspirin to treat fevers in infants has greatly reduced the occurrence of Reye's syndrome, an often fatal form of liver failure. Ironically, however, taking too much Tylenol (an overdose) can also cause liver failure, although by a different process (mechanism), as discussed below. Medical Author: Dennis Lee, M.D. Medical Editor: Jay M. Marks, M.D. John is a gentleman with a delightful sense of humor, a successful businessman, a loving husband, and a proud father of two beautiful children. I first met him more than 10 years ago in a local hospital. (Both of us were under 40 years of age.) I was asked by his internist to help manage John's serious liver disease. The way in which he developed his liver disease demonstrates how ordinarily-safe, over-the-counter (OTC) medications can be deadly when used improperly and the potentially serious nature of adverse interactions among drugs and of drugs with food. While actual dates of the events have become fuzzy, I remember the essence of what happened. John had more than a few drinks at a New Year's Eve party at a local restaurant. The following morning, he developed nausea, vomiting, headacheand flu-like symptoms. He took several over-the-counter cold/flu medications every few hours for relief from his symptoms; as the symptoms persisted he took more medications. Some early reports did describe the occurrence of chronic liver disease that was associated with the long-term use of Tylenol in recommended doses. These studies were published in the 1970's, however, and I suspect that many of these patients may have had unrecognized chronic hepatitis C infection. Anyway, today, the consensus is that the usual doses of Tylenol cause significant liver damage only rarely, or not at all in people with normal livers. Likewise, a person with liver disease does not appear to be at an increased risk of developing additional liver injury from taking Tylenol. This is so-regardless of the cause of the liver disease and provided the patient does not drink alcohol regularly. Thus, Tylenol is quite safe to use in the recommended doses in patients with acute (brief duration) or chronic (long duration) hepatitis. For example, Tylenol is routinely prescribed to treat the flu-like symptoms that can be caused by interferon treatment for patients with chronic hepatitis. Keep in mind, however, that all drugs, including Tylenol, should be used with caution, if at all, in patients with severe liver disease, such as advanced cirrhosis (scarring of the liver) or liver failure. Even though Tylenol most likely does not cause serious liver damage in recommended doses, it can cause elevations of liver enzymes in the blood suggesting injury to the liver. In a study of 145 healthy subjects who were randomized to receive placebo or 4 grams of Tylenol daily for two weeks, subjects in the placebo group experienced no elevations of ALT, a liver enzyme, but 33%-44% of the subjects in the Tylenol group had ALT elevations greater than three times the upper limits of normal. The highest ALT elevation was greater than 500 which is approximately 10 times the upper limit of normal. All enzyme elevations returned to normal after stopping Tylenol. Thus, recommended doses of Tylenol given to healthy subjects for two weeks can cause mild to moderate reversible liver injury. Tylenol, like all other medications should be used cautiously under a doctor's supervision with monitoring of liver enzyme levels. For the remainder of this discussion, we will refer to the generic name acetaminophen, rather than to the brand name Tylenol. We have decided to do this to emphasize the need for people to read the labels of medicine bottles carefully. As mentioned above, the labels usually will say acetaminophen rather than Tylenol. 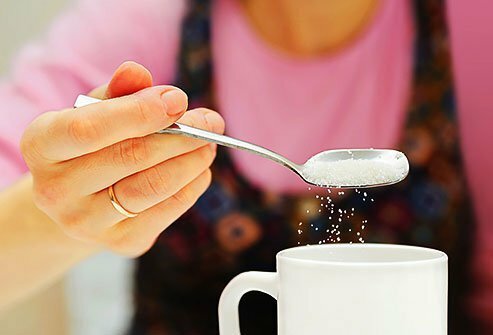 For example, each tablespoon of the common nighttime cold remedy, NyQuil, contains 500 milligrams (mg) of acetaminophen. Similarly, each tablet of hydrocodone/acetaminophen (Vicodin), a popular, potent painkiller that contains a narcotic, has also 500, 650, or 750 mg of acetaminophen, depending on the formulation. As already mentioned, an overdose of acetaminophen can cause liver damage. This damage occurs in a dose-related manner. (Some other medications can cause liver injury in an unpredictable fashion that is unrelated to the dose.) In other words, liver injury from acetaminophen occurs only when someone takes more than a certain amount of the drug. Likewise, the higher the dose, the greater is the likelihood of the damage. Moreover, this liver injury from an overdose of acetaminophen is a serious matter because the damage can be severe and result in liver failure and death. In fact, acetaminophen overdose is the leading cause of acute (rapid onset) liver failure in the U.S. and the United Kingdom. For the average healthy adult, the recommended maximum dose of acetaminophen over a 24 hour period is four grams (4000 mg) or eight extra-strength pills. (Each extra-strength pill contains 500 mg and each regular strength pill contains 325 mg.) A person who drinks more than two alcoholic beverages per day, however, should not take more than two grams of acetaminophen over 24 hours, as discussed below. For children, the dose is based on their weight and age, and explicit instructions are given in the package insert. If these guidelines for adults and children are followed, acetaminophen is safe and carries essentially no risk of liver injury. On the other hand, a single dose of 7 to 10 grams of acetaminophen (14 to 20 extra-strength tablets) can cause liver injury in the average healthy adult. Note that this amount is about twice the recommended maximum dose for a 24 hour period. In children, a single dose of 140 mg/kg (body weight) of acetaminophen can result in liver injury. Amounts of acetaminophen as low as 3 to 4 grams in a single dose or 4 to 6 grams over 24 hours have been reported to cause severe liver injury in some people, sometimes even resulting in death. It seems that certain individuals like those who regularly drink alcohol, are more prone than others to developing acetaminophen-induced liver damage. To understand this increased susceptibility in some people, it is useful to know how acetaminophen is processed (metabolized) in the liver and how the drug causes liver injury. The liver is the primary site in the body where acetaminophen is metabolized. In the liver, acetaminophen first undergoes sulphation (binding to a sulphate molecule) and glucuronidation (binding to a glucuronide molecule) before being eliminated from the body by the liver. The parent compound, acetaminophen, and its sulphate and glucuronide compounds (metabolites) are themselves actually not harmful. An excessive amount of acetaminophen in the liver, however, can overwhelm (saturate) the sulphation and glucuronidation pathways. When this happens, the acetaminophen is processed through another pathway, the cytochrome P-450 system. From acetaminophen, the P-450 system forms an intermediate metabolite referred to as NAPQI, which turns out to be a toxic compound. Ordinarily, however, this toxic metabolite is rendered harmless (detoxified) by another pathway, the glutathione system. The answer is that liver damage from acetaminophen occurs when the glutathione pathway is overwhelmed by too much of acetaminophen's metabolite, NAPQI. 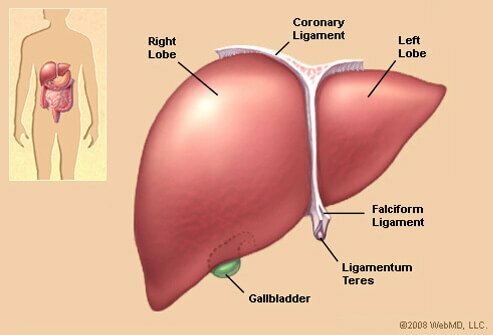 Then, this toxic compound accumulates in the liver and causes the damage. Furthermore, alcohol and certain medications such as phenobarbital, phenytoin (Dilantin), or carbamazepine (Tegretol) (anti-seizure medications) or isoniazid (INH, Nydrazid, Laniazid) - (anti-tuberculosis drug) can significantly increase the damage. They do this by making the cytochrome P-450 system in the liver more active. This increased P-450 activity, as you might expect, results in an increased formation of NAPQI from the acetaminophen. Additionally, chronic alcohol use, as well as the fasting state or poor nutrition, can each deplete the liver's glutathione. So, alcohol both increases the toxic compound and decreases the detoxifying material. Accordingly, the bottom line in an acetaminophen overdose is that when the amount of NAPQI is too much for the available glutathione to detoxify, liver damage occurs. In the U.S., suicide attempts account for over two thirds of acetaminophen-related liver injury, whereas accidental overdose accounts for only one third of the cases. In young children, accidental overdose accounts for an even lower percent of the cases. Among these often-curious toddlers, accidental overdose is responsible for less than 10% of the instances of acetaminophen toxicity. The vast majority of these accidental overdoses were due to unintentional overdoses given by the caregivers of the children. To avoid unintentional overdoses among adults, here are some suggestions. Read the labels of the medication bottles carefully and determine the amount or strength of acetaminophen in each pill or spoonful. Become familiar with all of the other medications that you are taking. Remember that over 200 drugs contain acetaminophen as one of the ingredients and that certain drugs, such as phenobarbital, can significantly increase liver damage. Before you take the medication, write down (record) the maximum safe number of pills or spoonfuls that you can ingest over 24 hours. Stick to that quantity and do not deviate. If, however, you are unsure of the safe number of doses or think that you need to take more than you should, call your doctor or pharmacist. When you receive a prescription for a new medication, ask your doctor or pharmacist whether it affects the body's metabolism (processing) of the other medications that you are taking, including acetaminophen. If you have been drinking alcohol regularly, do not exceed taking 2 grams of acetaminophen over 24 hours. Be honest with yourself about the ingestion of alcohol. Record the number of pills or spoonfuls of acetaminophen and the time that you take them. The dosing of acetaminophen for children, as previously mentioned, depends on their weight and age. To avoid overdose in children, follow the same procedures for them as suggested above for adults. Beyond that, two adults should independently determine the dose of acetaminophen for a child. If there is disagreement about the recommended dose, consult a pharmacist or physician. These precautions are not excessive when you consider that in one experimental mock situation, only 30% of adults correctly calculated the dose of acetaminophen for their child. If a baby-sitter is caring for a sick child, parents should carefully write out the dose and schedule for the administration of the drug. Each year, in children with high fevers who were given repetitive doses of acetaminophen, deaths have occurred due to accidental overdose and the resulting liver damage. Three clinical stages (phases) of acetaminophen-induced liver injury have been described. During the first phase, that is, the initial 12 to 24 hours or so after ingestion, the patient experiences nausea and vomiting. For the next perhaps 12 to 24 hours, which is the second phase or the so-called inactive (latent) phase, the patient feels well. In the third phase, which begins about 48 to as late as 72 hours after the ingestion of acetaminophen, liver blood test abnormalities begin to appear. Most notably, extremely high (abnormal) levels of the liver blood tests, AST and ALT, are common with this type of liver injury. The outcome (prognosis) of the liver injury can be predicted fairly accurately on the basis of the patient's clinical exam and blood tests. For example, at one extreme, if the patient develops severe acid buildup in the blood, kidney failure, bleeding disorders, or coma, then death is almost certain. Only a liver transplant can possibly save such a patient. A physician should evaluate the individual immediately. Remember that bringing the bottles of acetaminophen and all of the person's other medications to the emergency room is always useful. The risk that an acetaminophen overdose will cause liver injury correlates with the blood level of acetaminophen relative to the time the drug was taken. Physicians, therefore, are able to estimate the patient's probability of developing liver injury after an overdose. To make this determination, they obtain the patient's history of acetaminophen ingestion and measure the blood level of the drug. With this information, the doctor then can refer to a table (nomogram) that provides an estimate of the risk of developing liver injury. The accuracy of this estimate, however, depends on the reliability of the time of ingestion and whether the acetaminophen was taken over a period of time or all at once. With suspected acetaminophen overdose, the doctors usually will pump (gavage) the patient's stomach to remove pill fragments. In reality, many individuals who overdose with acetaminophen in a suicide attempt will have taken other pills in addition. Some doctors, therefore, will consider treating the patient with activated charcoal, which binds (and thereby inactivates) many medications. However, this treatment is controversial because of a concern that the activated charcoal may also bind the antidote for acetaminophen overdose. Patients who are thought to be at a high-risk or even only at a possible risk of developing acetaminophen liver injury should be given the antidote, N-acetyl cysteine (Mucomyst) orally (or intravenously in Europe). This drug works by indirectly replenishing glutathione. The glutathione, as you recall, detoxifies the toxic metabolite of the acetaminophen. The N-acetyl cysteine is most effective when administered within 12 to 16 hours after the acetaminophen was taken. Most physicians however, will administer N-acetyl cysteine even if the patient is first seen beyond this 16 hour period. Thus, a British study showed that patients already with liver failure who then received the N-acetyl cysteine were more likely to survive than patients who did not receive the antidote. Moreover, the survival occurred in these patients regardless of the time of initial administration of N-acetyl cysteine. Finally, people who recover from acetaminophen-induced liver damage are left, fortunately, with no residual or ongoing (chronic) liver disease. Previous Medical Author and Editor: Medical Author: Tse-Ling Fong, M.D. Burns, Michael J., M.D. "Acetaminophen (paracetamol) poisoning in adults: Pathophysiology, presentation, and diagnosis." UptoDate.com. Updated Oct. 6, 2015. What was the treatment of your liver damage? What were the signs and symptoms of Tylenol-induced liver damage in you or someone you know? If concerned about acetaminophen liver damage, how do you manage pain? What else do you take?